Devshi won the sole ZF Achievers Award from India for 2012. The winners from asia pacific regions were invited by ZF to Honkong & Macau. 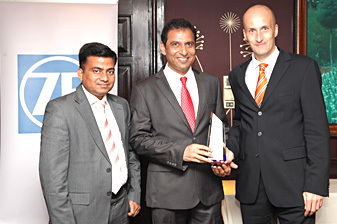 Our M.D., Mr. Jayesh Thaker attended the event and received the award from Mr. Markus Wittig. We appreciate all our valued clients for their support.